Wow. I'm not sure I want to read this one. Awesome! It will go well with the children books I've just ordered about the Great Plague and the Gladiators. Sounds like an awesome library you've got, Sarah. Oh wow! Very cool. And....wonderfully disgusting! I'm sure it will be crazy popular. Great job! "Juicy"...snicker, snicker. Very much looking forward to reading! Umm, did April Fools Day come early? This must be a joke! I've been recommending this series to all the families I know, but I can't see this fitting it with the earlier books in the series. Not an April Fools joke. It is a little different from the first two books--no wars in this one. Nathan Hale, Hangman and co are back to narrate, it'll feel just like the first two in tone. 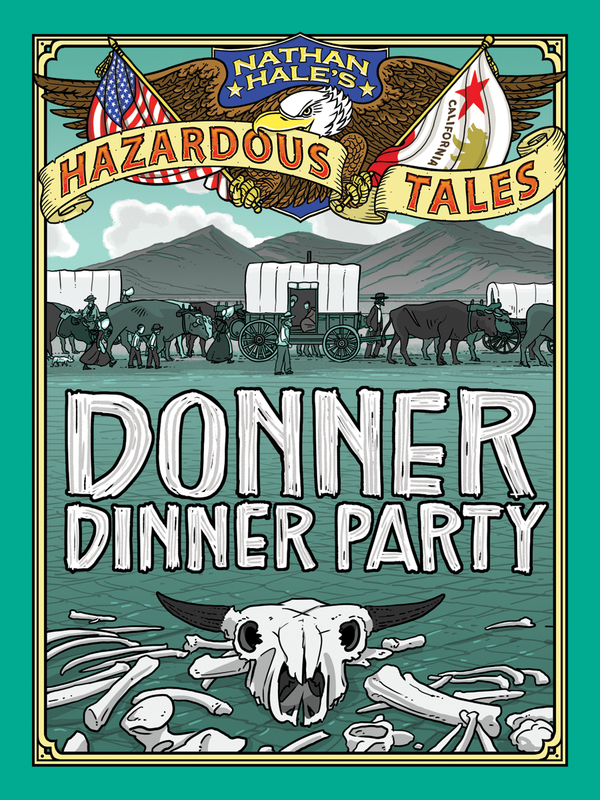 It's got a lot of laughs (believe it or not) and a lot of good info on not just the Donners, but Westward Expansion in general. It's going to be good! Hangman: OooOoOhH, dinner! (Claps) I hope I`m invited! cole:Zombies are the descendants of the donner dinner party you know. cole:It's going to be about canniball/zombies.